Globally the world is moving to technology and the professionals prefer to work with a mouse for ease of functioning. We have choices of mouse at various price points including the mini mouse to carry with laptop to suit your promotional budget. 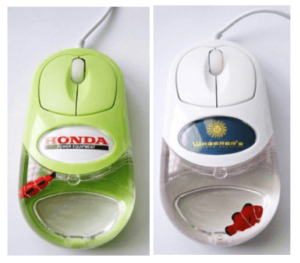 Branding on the mouse helps you to ensure higher brand recall and use your limited promotional budget in a meaningful manner. We can match the colour of mouse as per your house color for higher connect and enhanced brand recall. 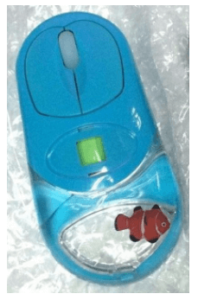 In case of larger quantities, the shape of the mouse itself can be changed to match your product lookalike so please feel free to write to us to revert with various options. 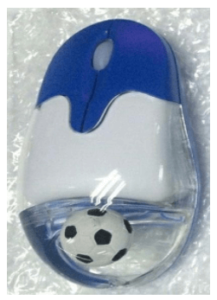 Promotional USB liquid optical mouse is available with wire with options of various general floaters to carry your brand and connect with your target audience. You can select from various general floaters items with your branding on top of the mouse surface as shown below. 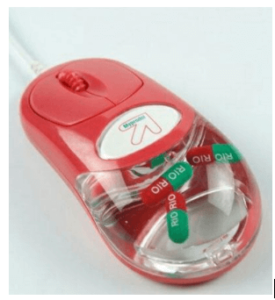 Specially pharma companies love to promote their various products with the name on the pills and their mother brand on the optical mouse which is available as wired, wireless and even rechargeable. You can select the shape of the pill from the various readily available choices or can go for customized shape floaters when quantities are larger. The colours on the pills and mouse can be matched for higher brand recall. Football or for that matter any other shape can be used as floater to connect with your concept or theme to impress your target audience. The mouse can be wireless optical for ease of carrying around and easy functioning without the wire attached to the mouse. The branding space on the floater and the mouse helps you connect and remind your target audience about you and your products. 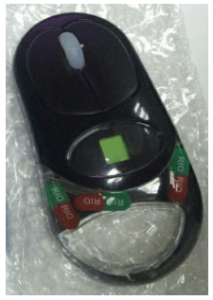 The body of the mouse can be as per your colour combinations without long wire to help the recipients appreciate the high utility desk gift and immediately start using your branded optical mouse by replacing the existing old one. As the name suggest these optical mice have the additional feature of recharging so that you can cut down your running cost on the batteries. 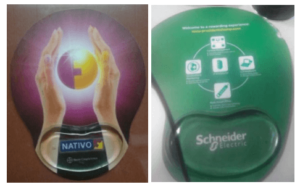 Even the visitors will notice the optical mouse with customised floaters to create awareness about both you and your products. Please also refer to the gel or floater mouse pads for various users who prefer to use optical mouse on the mouse pads for extra comfort and ease of full mouse functionalities. We also have regular mouse pads with foam and rubber bottom base to help you start with very low budget. Please write to us to help you decide the best promotion for your products again and again to pleasantly surprise the recipients.